Tennis’ most picturesque surface is also its most taxing. Indeed, when it comes to men’s tennis, the question is always who can compete with the King of Clay, who took home three of the clay-court swing’s four top prizes. Yet the women’s side is equally as intriguing: Can reigning Roland Garros champion Simona Halep reassert herself as the WTA’s foremost clay courter? Or will the likes of World No. 1 Naomi Osaka and Petra Kvitova find solutions on a surface adverse to their respective styles? We asked a panel of experts, including several former (and current!) players as well as Canada’s foremost sports journalists, what their predictions were for the upcoming clay season – and here’s what they came up with. In this edition of ‘Experts Corner’ we’ll shine the spotlight on Sportsnet’s own Arash Madani, getting the low-down on his selections. 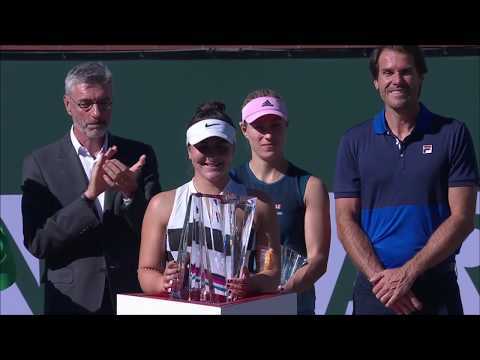 Arash is joined by Sharon Fichman, Caroline Cameron and Frédéric Niemeyer in predicting a successful time on clay for Auger-Aliassime, while Tom Tebbutt and Aleksandra Wozniak are backing BNP Paribas Open champion Bianca Andreescu to be the most successful Canadian player on the surface. Meanwhile, Tom expects Elina Svitolina to oust Osaka at the top of the rankings, while Sharon thinks the Japanese with retain her World No. 1 credentials. Now to the burning question: Who can top Rafa? Four of our experts – Sharon, Tom, Frédéric and Aleksandra – are all backing current men’s World No. 1 Novak Djokovic to beat out the King of Clay, while Caroline thinks Indian Wells champ Dominic Thiem will be the man to knock Nadal off his perch. Apr 23, 2019 Tebbutt: Qué pasa Rafa y Nole?